Amongst the services CHS GENEVA offers, is a ‘handbook’, which provides information, expert advice and tips on how to take care of your watch. A watch is a very precious object, designed to last for years as it ticks continuously alongside your pulse-beat. To ensure that its efficiency is maintained, it is important to take good care of your watch. This can be achieved by regular services in an authorised service centre, where specialist technicians work under clear guidelines and use only components and equipment specific to the brand of the watch concerned. The importance of having your watch serviced only in accredited service centres cannot be too strongly emphasised. Such service centres adhere to strict codes of practice and ensure expert maintenance that will not damage the authenticity of your watch and, hence, not lower its value. Any intervention by an unauthorised technician will render the official watch guarantee invalid. A wrist-watch is continually subjected to hostile environments (water, steam, temperature fluctuations, vibration) that may impede its correct functioning. However, with care, the potential damage caused by these elements can be limited. Over time, your watch can suffer small dents and scratches or loss of shine of the metal, all of which can be upsetting to someone who has a special attachment to their watch. In particular, shock can seriously affect the time-keeping of a watch, with the hands getting slower or faster or even sticking. Both quartz and mechanical watches need to be serviced every three to five years. As the batteries of quartz watches last only two to three years, they must be checked and their batteries changed more frequently by an authorised technician. We also advise submitting water-resistant watches to an impermeability test every year. This is a very simple procedure that takes only a few minutes in a properly-equipped service centre. 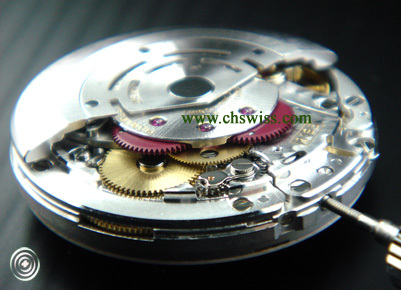 The cost of specialist service assistance for a damaged watch or a vintage watch, or simply a routine service, may vary according to the complexity of the timepiece. The authorised service centre will usually provide the customer with an estimate within a few working days.